We can help you plan and create a great party to celebrate a special occasion such as your wedding, birthday, anniversary … with mariachi band or romantic trio, fabulous Mexican cuisine served or buffet, flower arrangements, decorations and even a fireworks show. * You, your family and guests staying at the exclusive Rancho Las Cruces resort. * Private chapel available for ceremonies free of charge to members. * Special rates to members based on number of guests. * Bonfires on the beach. 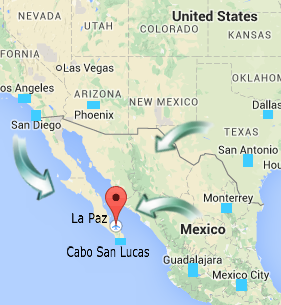 * Transportation from La Paz or Los Cabos.